It’s going to be a mini SUV, in the same class as the Nissan Juke, Mini Countryman, and Jeep Renegade. It looks a little like a fusion of the Honda Fit and the Honda CR-V. It takes some of the best stylistic elements of each of these cars while adding some flair of its own with trappings like hidden rear door handles. The result is a striking exterior that’s fiercely modern and urban. With a highly original center-tank layout, the HR-V will for plenty of space for passengers and cargo. The new HR-V also will come with Honda’s exclusive Magic Seat, a rear seat that can fold completely flat into the floor to allow for an incredible amount of cargo space. Other high-tech features like Bluetooth wireless connectivity as well as a rearview backup camera will likely be standard in HR-V models. We also anticipate that this new Honda will have outstanding fuel economy ratings as well as exceptional safety specs. 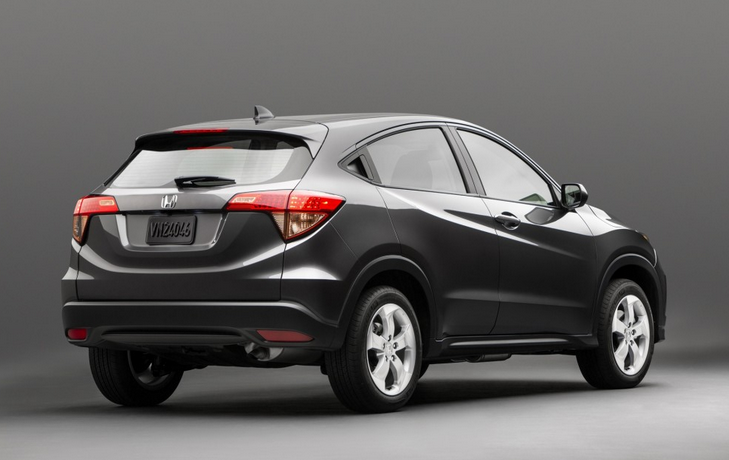 Want to be the first to know when the 2015 Honda HR-V arrives to San Antonio? Reach out to us at Benson Honda! 1. The Honda Civic Tour lineup has been announced! Headliners include Portugal. The Man, Groupelove, American Authors, and 3Ball MTY. The tour will happen in 20 different cities, including Dallas, Boston, Salt Lake City, New York City, San Diego, Las Vegas, and Portland! Tickets are on sale in select cities now! 2. Honda just launched a revolutionary music project called Honda Stage. As a part of this project, Honda created a YouTube channel to publish exclusive recordings of musical performances by top acts at top venues and recording studios around the country. Honda will team up with the iHeart Radio Theater in L.A., LiveNation, Clear Channel, VEVO, and Sean Combs to make this project happen. 3. Honda just released video footage of some exciting new car technology. The automaker is developing an electric car that can park itself. The car will use GPS and camera technology to automatically park itself in its owner’s driveway. 4. The 2015 Fit and the 2015 Pilot (as well as the 2015 Pilot Special Edition) have arrived to all North American dealerships! Benson Honda will be back soon with more Honda news. In the meantime, we encourage you to check out the new Hondas on our website and get in touch with us if you’d like to schedule a test drive! The new Pilot boasts important safety attributes like active head restraints to prevent whiplash injury, daytime running lights, and an airbag system that can selectively deploy airbags based on passenger weight. The new Pathfinder lacks all of these safety features. The Pilot’s V6 engine is exceptionally powerful and strong: producing 253 horsepower and 253 lbs.-ft. of torque. 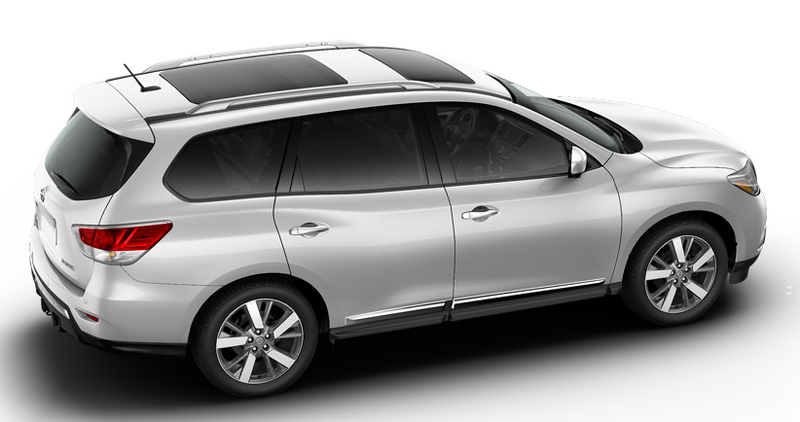 The Pathfinder’s engine offers less presence on the road, producing only 243 horsepower and 240 lbs.-ft. of torque. The 2014 Honda SUV offers an engine control system, which allows the vehicle’s engine to automatically shut down half of its cylinders when the vehicle reaches cruising speeds. With a fuel tank that’s 1.5 gallons larger than the Pathfinder’s fuel tank, the Pilot typically allows for a longer range between trips to the gas station. Seating for 8 passengers in the Pilot offers more convenience than the seating options for 7 passengers in the Pathfinder. Bluetooth connectivity is standard in all Pilot models. Bluetooth is not available in all Pathfinder models. With computer-generated active noise cancellation, the Pilot is better able to drown out outside noise and engine noise, which allows for a more pleasant ride. The Pathfinder doesn’t come with active noise cancellation. The 2014 Pathfinder’s wheelbase is 5 inches longer than the 2014 Pilot’s, which allows for slightly better handling in some situations. With a towing capacity of 5000 pounds in comparison to the Pilot’s 2000 pounds, the Pathfinder allows for some additional flexibility when it comes to towing large loads. The new Pathfinder offers continuously variable transmission (CVT), as opposed to the Pilot’s 5-speed automatic transmission. Some drivers prefer CVT. To allow for some extra convenience, the new Nissan SUV offers a remote vehicle starting system, which means Pathfinder owners can start up their cars’ engines from inside their homes. The Pilot doesn’t come with this ergonomic extra. At Benson Honda, we think the 2014 Pilot goes above and beyond in comparison to competitors like the 2014 Pathfinder. We invite you to see some of the Pilot’s advantages firsthand at our dealership and hope you’ll get in touch with us soon if you’re interested in the new Pilot! -It’s safer than ever before, with a sturdier, high-tensile steel body that uses advanced compatibility engineering to improve the way it handles crashes. Plus, it even comes with a standard rearview camera! -Bluetooth connectivity is now a standard Fit feature! -The 2015 Fit offers available 16-inch alloy wheels and available leather-trimmed seats. -The new Honda comes with a redesigned body that’s boxier and more aerodynamic with an updated, more eye-catching grille. -With a more powerful, 150 horsepower, 4-cylinder engine, the new Fit feels like a force to be reckoned with on the road! -Fit buyers can now choose between 6-speed manual transmission and continuously variable transmission, based on how much control they want on the road. Both options maximize fuel efficiency and overall performance. 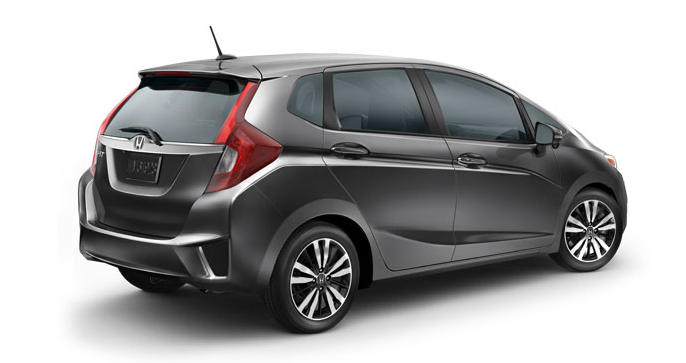 -Extra passenger volume and rear legroom make the 2015 Fit a little cozier than previous models. And these are just some of the most pertinent updates to the 2015 Fit! We hope you’ll come see the first addition to the 2015 Honda lineup at Benson Honda. There’s a lot to discover about this new car! The Insurance Institute for Highway Safety (IIHS) named the new Civic a Top Safety Pick. The 2014 Cruze wasn’t recognized by the IIHS. The Civic’s seats are designed to prevent whiplash and prevent spine injuries during collisions. The Cruze’s seats are not designed to maximize protection against whiplash. According to EPA tests, the 2014 Civic’s standard 4-cylinder engine gets better gas mileage than the 2014 Cruze’s standard 4-cylinder engine: up to 39 mpg on the highway vs. 35 mpg on the highway. (Based on EPA estimates. Use for comparison purposes only. Your mileage will vary). To increase engine performance and overall efficiency, the Civic offers optional continuously variable transmission (CVT). CVT isn’t available in Cruze models. The new Civic’s brakes are nothing short of amazing, stopping from 70 miles per hour (mph) in just 167 feet, according to Car and Driver. It takes the Cruze’s brakes a total of 188 feet to stop from 70 mph. With fully independent front and rear suspensions as well as front and rear stabilizer bars, the Civic handles better and feels steadier on the road than its Chevy rival, which lacks these features. To allow for low effort parking, the 2014 Honda Civic comes with variable assist power steering, another important feature the 2014 Chevrolet Cruze lacks. According to The Car Book by Jack Ellis, the 2014 Civic will retain up to 57.01% of its original value after five years. The 2014 Cruze, in contrast, is only expected to retain up to 45.13% of its value after five years. The 2014 Cruze offers complimentary OnStar, which uses GPS signals and a communications system to provide turn-by-turn driving directions and instant access to emergency personnel in the event of an accident. With free roadside assistance for 5 years or 100,000 miles, breaking down in the Cruze is a little bit less of a headache than breaking down in the Civic, which doesn’t come with free roadside assistance. The new Cruze’s fuel tank has a little bit more space than the Civic’s: room for 2.4 extra gallons. With a trunk that’s 15.4 cubic feet, the Cruze comes out ahead in the cargo storage department. The Civic’s trunk is only 12.5 cubic feet. The 2014 Honda Civic is a true revolutionary in terms of safety and performance specs. We think the 2014 Chevy Cruze just can’t compare on the road! We hope you’ll get in touch with us at Benson Honda to learn more about the new Civics at our dealership! Benson Honda is here with the latest Honda news and updates, and we’re excited to introduce you to Honda’s new hybrid concept, their Concept B Hybrid. Last month, they unveiled this cool new car at the Beijing Motor Show, and, since then, Honda enthusiasts and car buffs around the world have been abuzz. Bolder in design than anything currently in the Honda lineup, the Concept B Hybrid definitely turned heads at the Beijing Motor Show. The car’s current exterior is sporty and sleek overall with an aggressive, large front grill and an elegantly curved hatchback rear. Honda representatives at the motor show mentioned that they think the car’s unique design will be one of its greatest (and many) strengths. The automaker didn’t release any details about the new car’s powertrain or fuel efficiency. The hybrid will have to comply with stringent Chinese fuel economy regulations. So, we definitely think it will save its owners on gas and do the environment a favor. 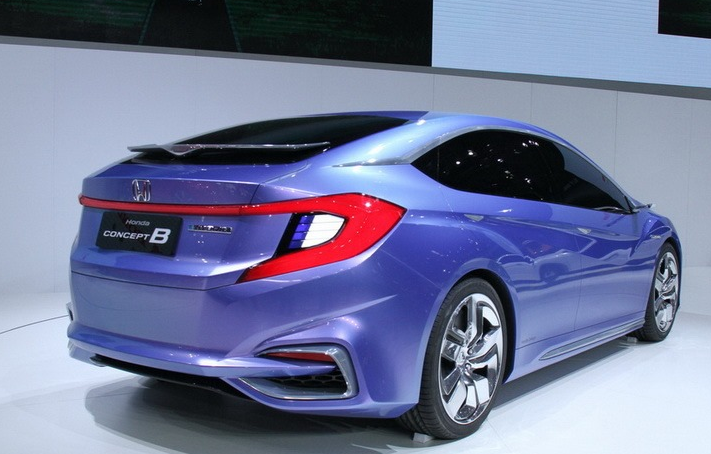 As of now, Honda only has plans of releasing the new hybrid vehicle in the Chinese market. They’ve announced that they anticipate it to arrive to Chinese dealerships in two years. We hope Honda will consider adding this awesome new car to the North American lineup! Benson Honda will keep you in the loop about the latest Honda concepts and general Honda news. So, check our blog often for the latest and greatest updates from the world of Honda!